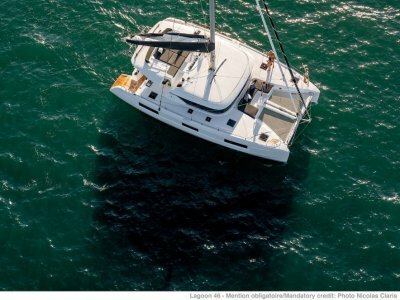 The Lagoon 450 replaces the 440 - but of course retains the qualities that made it a best seller. So you can still enjoy a steering station on the flybridge accessible from both sides of the cockpit. From here there's great visibility and of course all controls are within easy reach. There's a forward cockpit too - a perfect vantage spot to sit back and take in the ever changing view. The 450 is larger than it's predecessor and has a bigger sail area. 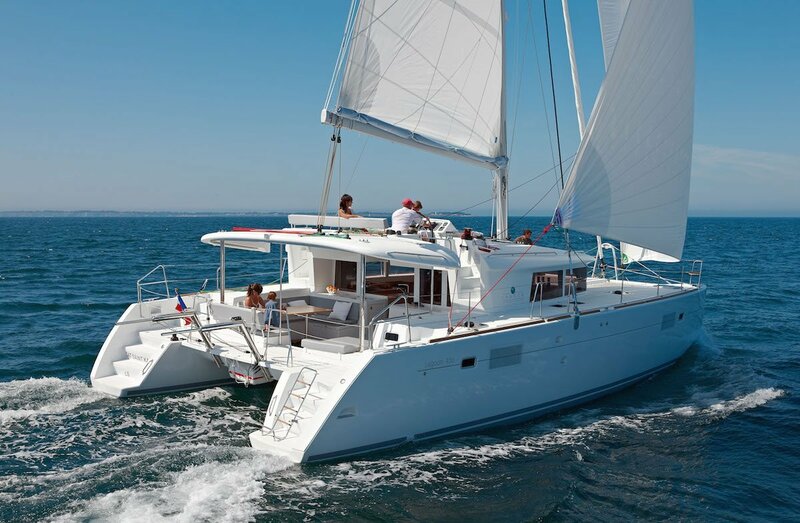 You can choose a 3 or 4 cabin versions - all of which are light and bright thanks to large hull windows. You'll love the 360° visibility from the comfortable saloon which also features a practical U shaped galley. When the boat is filled with family and friends, easy access from the saloon to a large outdoor rear cockpit will let you entertain in style! 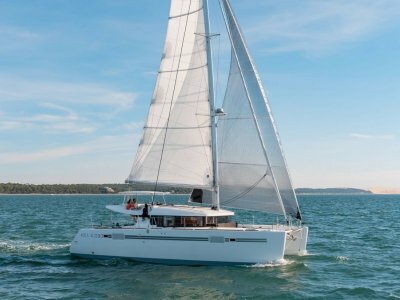 The Lagoon 450 also benefits from important safety, performance and cruising comfort improvements. Propellers are behind the rudders for protection and to eliminate cavitation - this also affords better manoeuvrability. 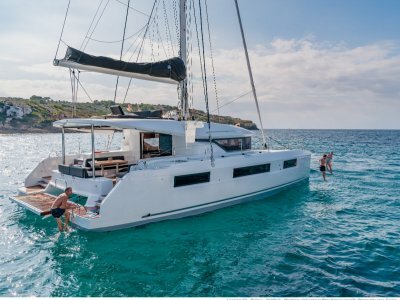 Reliable, easy to handle, innovative and fast - the Lagoon 450 is the perfect boat to cruise in style. You can choose between 2 specification levels depending on your on-water lifestyle. 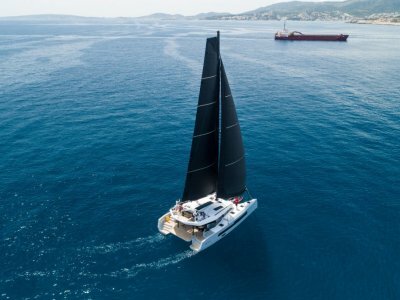 Whichever package you choose, you can sail away taking comfort in the knowledge that your catamaran carries the signature of VPLP - the most trusted name in multihull design worldwide.